By olduvai in Environment on April 11, 2019 . 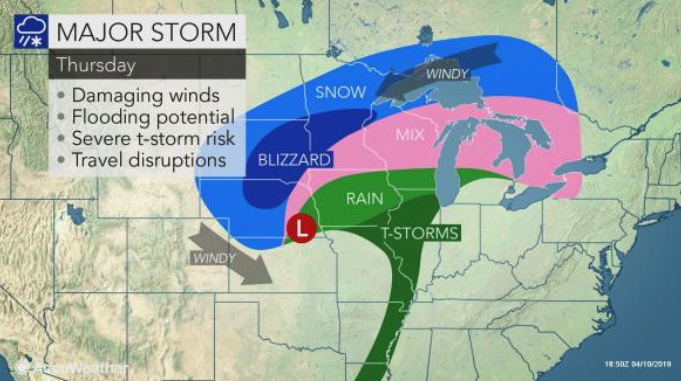 As the storm reaches “bomb cyclone” criteria on Thursday, more than 200 million people in the United States will feel the impact of this dangerous weather system sweeping across the Plains and Midwest. 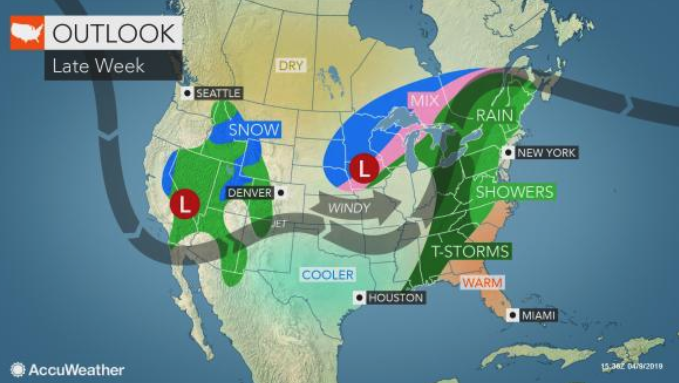 Heavy snow has developed and will continue to fall on the northern Plains, a portion of the central Plains and Upper Midwest into Thursday night as arctic air rushes in, reported Reuters. 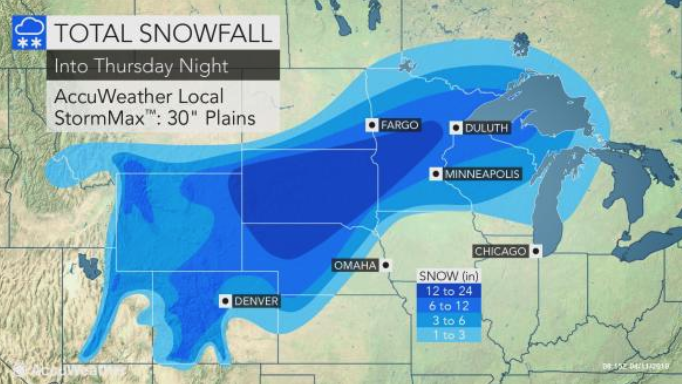 Into the overnight, heavy snow will extend from northeast Colorado and northwest Kansas through Nebraska, South Dakota, southeast North Dakota, Minnesota, northern Wisconsin and part of the Upper Peninsula of Michigan. 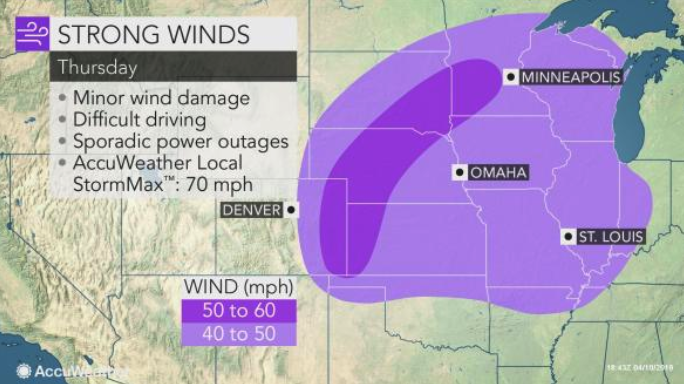 PowerOutage.Us shows 13,660 homes and businesses are without power in Minnesota, and about 9,500 in South Dakota around 7 am est. Between 4 am and 8 am, there are 61 airport delays across the U.S., mostly seen at Minneapolis−Saint Paul International Airport, according to Flight Aware. 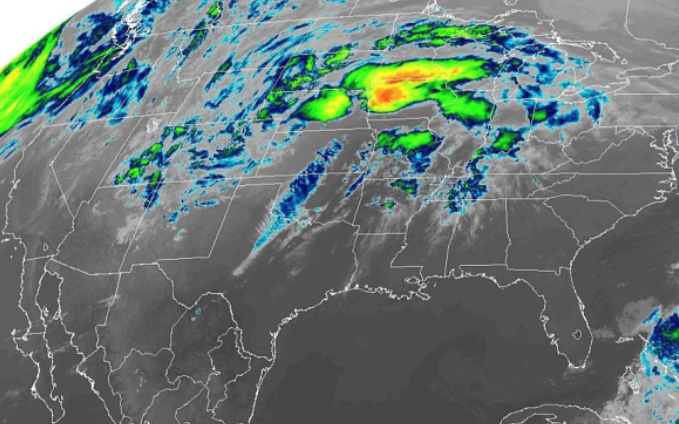 The region in focus is the Central U.S., the same area where a “bomb cyclone” hit last month and unleashed deadly flooding and blizzards. A little over $3 billion in damage was done to property, crops, and livestock in Nebraska and Iowa alone.